Welcome to Sun Instrumentation and Control. Manufacturer and Service Provider of Automation and Control Instruments. The company was established in 2000 at Surat. Our Advanced R and D department and Sound financial position make us unique in the industry. Dev Rekha Exports and Manish Packaging are some of our esteemed clients and we are backed by Sturdy construction and easy operations. 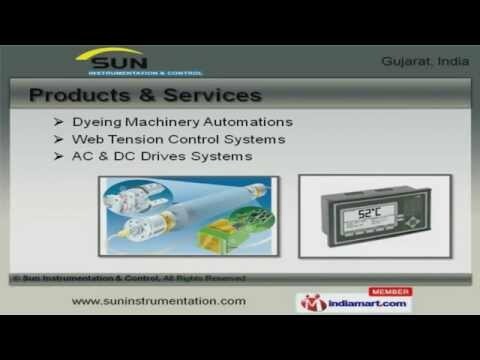 We offer a huge gamut of Dyeing Machinery Automations, Web Tension Control and AC and DC Drives Systems. Solenoid, Pneumatics and Control Valves are in huge demand across the global markets. Our Industrial Sensors and Control Devices are superior in performance. We bring forth a wide range of Push Button Stations at market leading prices. Pneumatic Control Panels and Control Panels for Dyeing Machines are well known for their impeccable performance. Our Control Panel with PAC for Chemical and Paper Plant Automation are a class apart.